Do They Know It’s Christmastime? 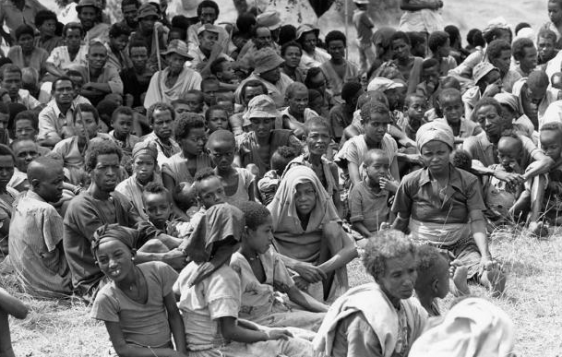 Famous bands and singers were more than willing to be part of the project (without pay) that would eventually raise 160 million dollars to help feed victims of the Ethiopian famine. The project was an incredible success, and the charity song that challenged people to look “just outside your window” at the world’s poverty is often considered a Christmas classic. Do they know? Not just in Ethiopia, but all over the world? Do they know what Christmas time really is? Not just the media version but the Bible version? Your Lifeword team is challenged by those same questions. We pray that we will reach even more of the world for Christ and seek God’s guidance on how to do it. He has blessed this media ministry with global leaders who see firsthand those who are starving both physically and spiritually, and the goal is the same: Feed the world. God has brought Lifeword to this time of such incredible technological advancement that almost the entire world can access the Internet. The exception is those areas of the world where governments and regimes have thrown up “firewalls” preventing full access to it. Already, however, people have found ways around those walls, but there are so many who haven’t heard. What a gift it has been to Lifeword! Please pray for us this Christmas season as we use this gift to tell people about that first Christmas when the Savior of the world was born. Pray that we will feed a starving world with the message of hope.